Welcome to Water Oak Country Club located in the city of Lady Lake, Florida and convenient to The Villages, Florida. This gorgeous, gated 55+ community features over 300 acres of rolling hills, trees, and lakes. The well maintained winding roads invite residents to walk, jog, bike ride, or take a leisurely stroll with their four-legged friend. 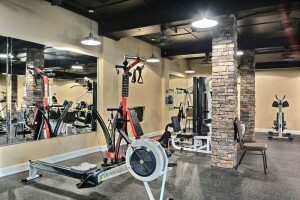 The three-story clubhouse boasts a fully equipped exercise center with sauna and showers, a complete library, craft room with two kilns, a billiards room, card room, large kitchen and plenty of areas to socialize. Outdoors enjoy a swim in the heated pool, bask poolside on the sundeck, relax in the hot tub or shuffleboard and break in the new pickle ball courts. Looking for golf? We offer that too, along with an onsite Pro Shop and restaurant. If that is not enough, we have a full calendar of events and activities to keep you as busy as you wish. We are committed to providing quality-built manufactured homes, incredible value and exceptional service. Our model home center features two and three bedroom floor plans that can be tailored to your lifestyle. We also offer previously owned homes that range from 728 – 1,456 square feet. 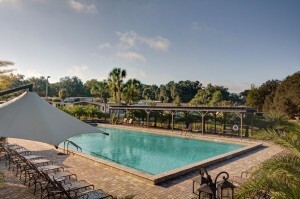 Located conveniently off US 27 between Leesburg and Ocala, Water Oak Country Club is one hour north of Orlando and the many exciting attractions the city has to offer. Nearby conveniences include plenty of shopping, dining opportunities, local attractions, pharmacy services, public library, a wide variety of healthcare services and we are adjacent to The Villages so owning a road registered golf cart makes it a convenient visit. The courteous, professional management team provides the highest level of customer service to our family residents. We stand ready to answer questions and help in any way possible. Call us today to learn more about the various manufactured homes available for sale at Water Oak Country Club. New Models Available! Look at the homes online now!